Save your black paint and make a stunning background with this opaque black primer! 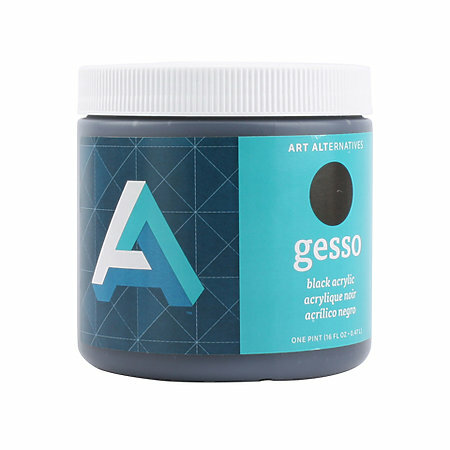 Art Alternatives Black Gesso provides a sufficiently rigid yet pliable surface with a clean black satin finish. It has a slight tooth to aid adhesion, dries quickly and will not crack. No prior sizing necessary. It is ideal for use with acrylics, oils or tempera, on a variety of porous surfaces including canvas, wood panels and paper. It also makes a great base for colored pencil, soft and oil pastels, crayon, paint markers, spray paint and more.